AGI first tested the Sting—the predecessor to the SuperSting™ instrument—in October 1994. This data set began the electrical resistivity imaging industry. The vertical electrical sounding (VES) method was very labor intensive—you had to constantly move four electrodes on the ground, so you needed at least five people for a small survey. The results were not fully reliable—the instrument assumed you were imaging horizontal geological layers, which wasn't always the case. In response to these issues, AGI developed an automatic measurement system that allowed the client to gather data quickly and efficiently. In the early ‘90s, legislation was passed in the greater Austin, Texas, area which required all caves to be examined prior to any new construction, as many caves housed endangered species. The company—Gasch & Associates—already knew that a cave existed in this karstic area (a limestone or dolomitic area signified by caves, sinkholes, and solution channels), but wanted to give AGI a chance to test the Sting R1 to see if it could accurately image the cave. AGI needed a way to test the instrument—and knew a cave would be a great option, as no electricity can pass through an air filled cave. 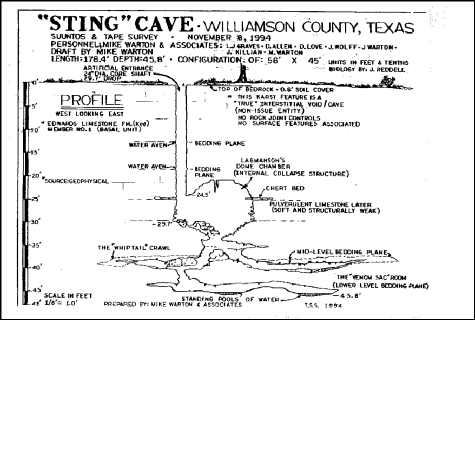 The Sting R1 was able to detect the first cave—called “Cave 1”—as well as another smaller cave to the side of Cave 1, later dubbed “the Sting cave.” Cave 1 was air-filled, but showed lower resistivity than the Sting cave due to carbonate columns that electrically connected the floor and ceiling. The Sting cave was air-filled and did not have any columns. Both caves were drilled with 24-inch entrance holes for exploration. 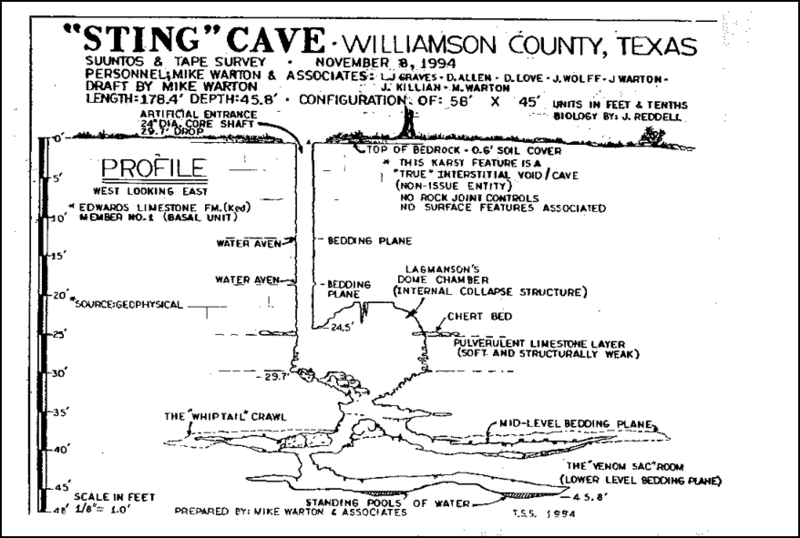 Mike Wharton & Associates—a group of professional spelunkers—went into the Sting cave and mapped all of the chambers, pathways, and passages, coming to the conclusion that the karst feature was a true interstitial void that housed no biological life. So the land developer was able to proceed with construction knowing it wouldn't do any harm to endangered species. This survey was also greatly beneficial to AGI, as it set in motion what would soon become an entire industry designated around electrical resistivity surveying.